There are numerous options for product enhancements. The addition of antimicrobial properties is a great addition to diversifying products in a very crowded marketplace. Their properties improve the products value and safety to the consumer. How do plastic products become antimicrobial? When a product or material is labeled as antimicrobial it means that an additive was combined into the compounding process during the manufacturing of the material. An antimicrobial product is one that can kill microorganisms that may present at the surface. They are popular with products in areas of high-use by the public or areas where there is stagnant water and moisture. Thermoplastic elastomers do not naturally self-sterilize and need the addition of an agent to be considered antimicrobial. During the compounding stage of the material production, an antimicrobial additive is combined with the resin to add antimicrobial properties to the finished products. Silver-based agents have been used for creating antimicrobial attributes for years. The amount of silver needed to create a sterile environment is very small, and therefore, can be used to create antimicrobial products. These products have an insignificant toxicity effect when they come in contact with human tissue and fluids. (1) Silver-based systems are known for widespread coverage of both Gram-positive and negative bacteria. (1) Silver ion is a common additive; however, there are several other proprietary options available that are both organic and non-organic used throughout the industry. The additives typically function by blooming to the surface to prevent and stop the growth of bacteria. Many antimicrobials are also effective against mold fungi, mildew fungi, algae, yeast and more. Do antimicrobial additives affect the performance or processing of TPEs? Antimicrobial additives are such a small percentage that there are no major changes to any of the main properties. While many TPEs are available with excellent clarity, antimicrobial additives are naturally cloudy, so the addition of them does limit their clarity to some degree. Beyond the standard personal protective equipment (PPE) that is needed during production, antimicrobials cause no disruption during the processing or manufacturing stages. The price of antimicrobial-enhanced materials can be more expensive than those without it. However, the price is a factor of the amount used during processing. The antimicrobial agent is expensive, but since such low quantities are typically needed it can alter the price based on the load level needed in each material. Higher load levels have a higher efficacy rate and may be needed for high microbial challenge situations, but lower levels of the agent can prove just as effective in many applications. 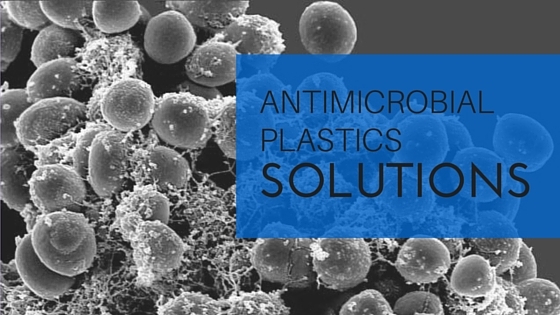 What is the benefit of having antimicrobial plastics? Household and electronic products can be damaged by the microorganisms that grow on the surface. The damage presents as odor, discoloration, loss of function, and loss of property from degradation. A wide variety of antimicrobial solutions are available for the requirements of your specific application. A longer product lifecycle, improved product value, and aesthetics are a result of the addition of an antimicrobial additive that will control the spread of fungi and algae on surfaces of products. What are common antimicrobial product applications? A few of the most common applications include food packaging, electronic housing for tablets and phones, and household and beauty products. A new emerging application is beer dispensing tubes. Many medical devices also are antimicrobial; however, they require a more detailed development and approval process. Have more questions? Our advanced research and development team is here to help answer your questions. READ MORE: The Use of Incorporated Silver-Based Antimicrobials (1), Understanding Silver Based Antimicrobials, and The Increasing Use of Silver-based Products.